Getting into the holiday spirit, Jeppesen Denver employees “adopted” twenty-one families from Buckley Air Force Base in Denver and Fort Carson in Colorado Springs, Colorado for the Second Annual Adopt-a-Military Family project. Employees purchased gifts for these deserving family members, wrapped the gifts and delivered them to the two local military bases. Knowing how tough it is to be serving your country during the holidays, Jeppesen employees wanted to help in a small way. 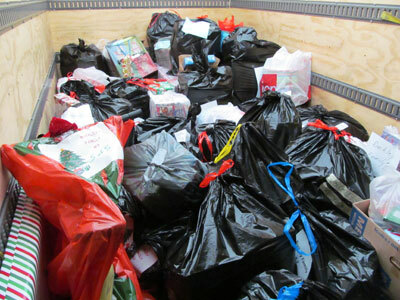 In addition, employees donated new toys for Santa’s Workshop at Fort Carson. Santa’s Workshop ensures that soldiers in need can provide for their children this holiday season.